I had been thinking for a couple of years that I would like to try to make ink the early modern way. I had run across several recipes for ink over the years in my research of seventeenth-century receipt books and I had read Amanda Herbert’s blog in which she discusses making ink in an undergraduate class. I was also interested to find blogs in which scholars were teaching reconstruction in their classrooms, such as Patty Baker and Laurence Totelin, who are making ancient recipes for a MOOC video (read about it here), or Amanda Herbert, who had her students try tasting early modern hot chocolate (here). 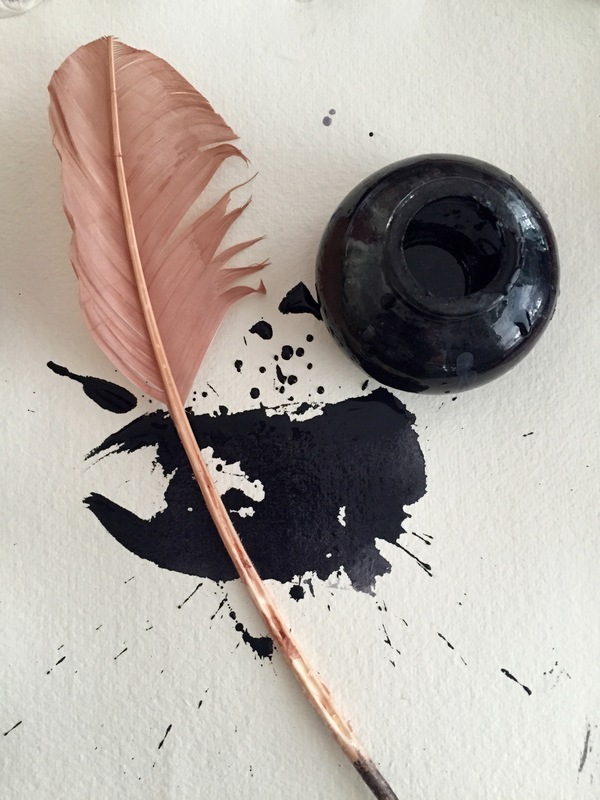 Finally, last fall I had a chance to teach both an undergraduate and a graduate class entitled “Early Modern Women’s Writing and Literary Practice” and decided that this would be the perfect opportunity to make ink. 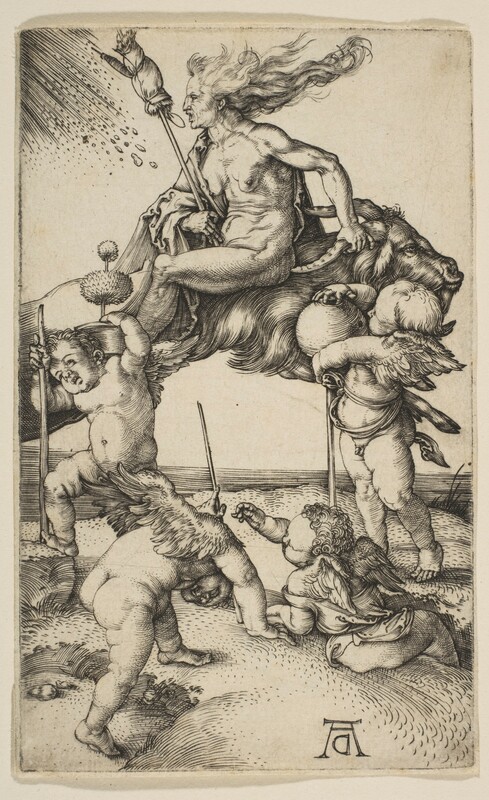 As it turns out, my interest in making ink comes at a time when scholars are in the process of reconstructing historical recipes, such as Marjolijn Bol, who has made Leonardo da Vinci’s Walnut Oil and ancient Greek and Egyptian recipes for fake gem stones. 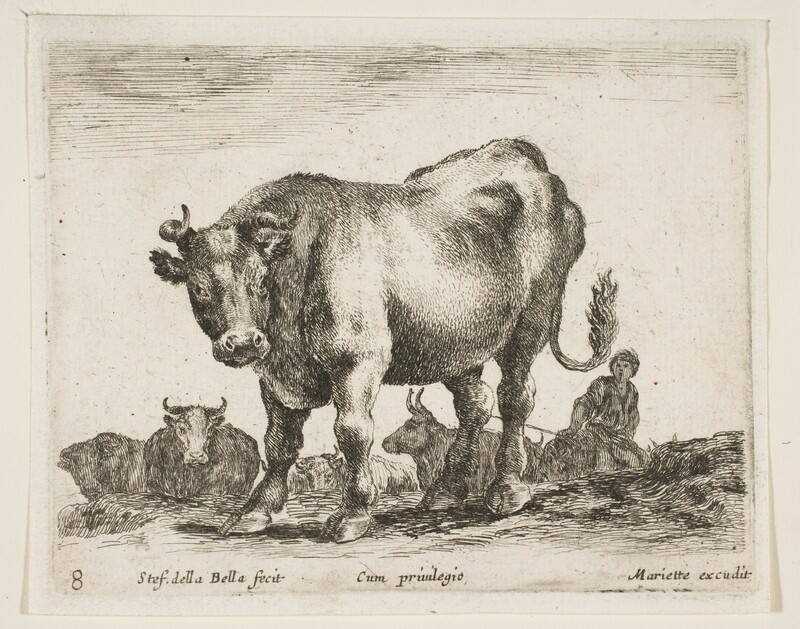 Alyssa Connell and Marissa Nicossi write a blog that is all about cooking from early modern recipes in Cooking with the Archives. Some larger reconstruction projects are also occurring around the world: ARTECHNE in Utrecht is working to rediscover historical art conservation techniques; and The Making and Knowing Project, which is interested in reconstructing art and craft techniques and recipes from the sixteenth century. The Early Modern Recipes Online Collective is working on a digital humanities project that is transcribing early modern recipe manuscripts that will eventually be available online; they often cook the recipes they are transcribing. Back to my own project: the process of ink making turned out to be more expensive and more time-consuming that I had imagined, though both of these factors were also likely similar in the period and in the end a great learning experience. I cheated a bit by looking on some ink-making websites that were quite helpful (especially, this one), as it explained about the chemistry of the ink making and also translated some of the recipe terms, such as “copperas” into “ferrous sulfate.” The site also had links for purchasing ingredients. I considered several different early modern recipes, but I finally decided on one of the several recipes in the Mary Grenville family receipt book manuscript (Folger V.a.430), because it was in English (some of the recipes are in Spanish) and it was the simplest in terms of ingredients, steps, and time. 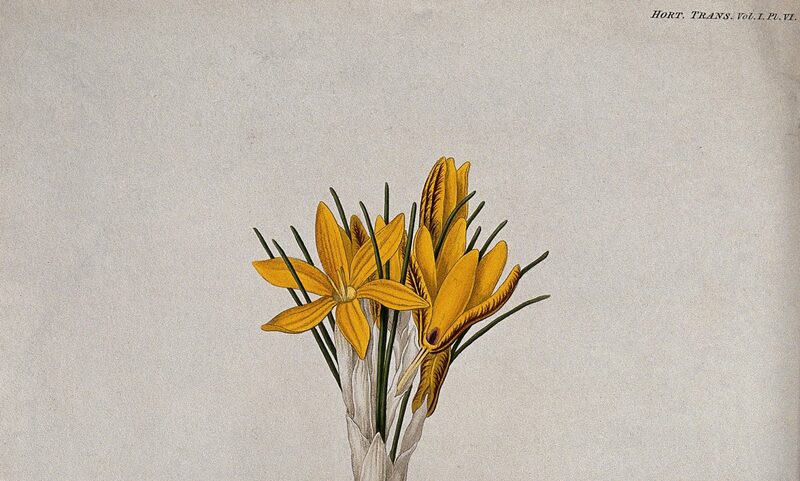 Take a quart of snow or raine water and a quart of Beerevinegre, a pound of galls bruised, halfe a pound of coperis, and 4 ounces of gum bruised, first mix your water and vinegre together, and put itinto an earthen Jug, then put in the galls, stirring itt 2 or 3 times a day letting it stand 8 or 9 daies and then put in your coperas and Gumme, as you use it straine itt. 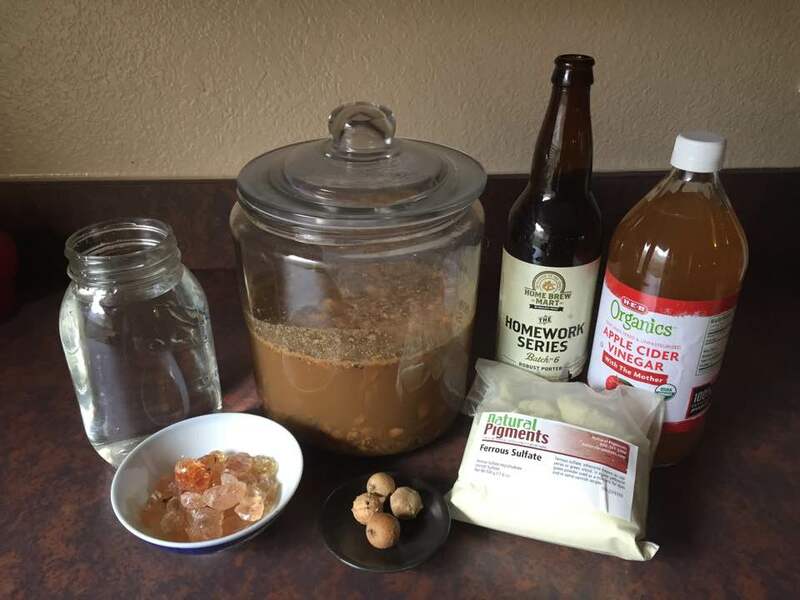 Most recipes use some kind of wine or vinegar that keeps the ink from molding, but this particular one uses beer vinegar, which I discovered is quite easy to make by combining the “mother” of cider vinegar and a bottle of beer, then letting it ferment for several days. As for the galls, I had been collecting oak galls on my walks in the spring and had several gallon zip lock bags full, but when I weighed them I had only about 6 ounces—not close enough to the one pound required. It turns out that Texas oak galls are the big, light, and fluffy apple gall rather than the smaller but denser traditional iron oak gall. These I “bruised” with a meat hammer and then combined with the beer vinegar and rainwater. Because the mixture needed to “stand” for 8 or 9 days, I decided that I would do this in advance, so that we could simply add the final ingredients in class and try out the ink immediately. 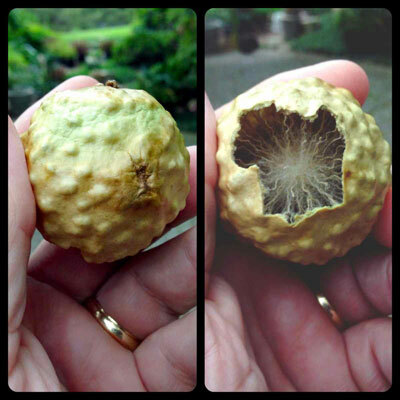 I reserved the big fluffy apple oak galls for students to pound in class. The last two ingredients: gum arabic and the coperias (ferrous sulfate or green vitriol) I also ordered online from Amazon and Natural Pigments, respectively. I knew that gum arabic takes a while to dissolve, so I decided that I would pre-dissolve the crystals, first by grinding them into small pieces in a mortar and pestle and then placing them in hot water and finally I strained out the impurities. That process took about 24 hours. 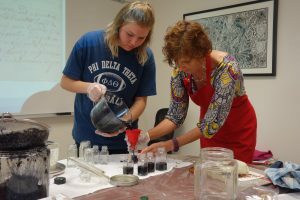 On the ink-making day, students assembled the ingredients following the recipe. The most surprising and exciting part was adding the ferrous sulfate, which turned the formerly beer-brown liquid into the blackest black. We then strained the liquid and poured them into old spice bottles. The recipe made enough for each student to have a bottle. The ink turned out to be very good in terms of viscosity and color–and I’d argue better than the run of the mill India ink you can buy on the market. 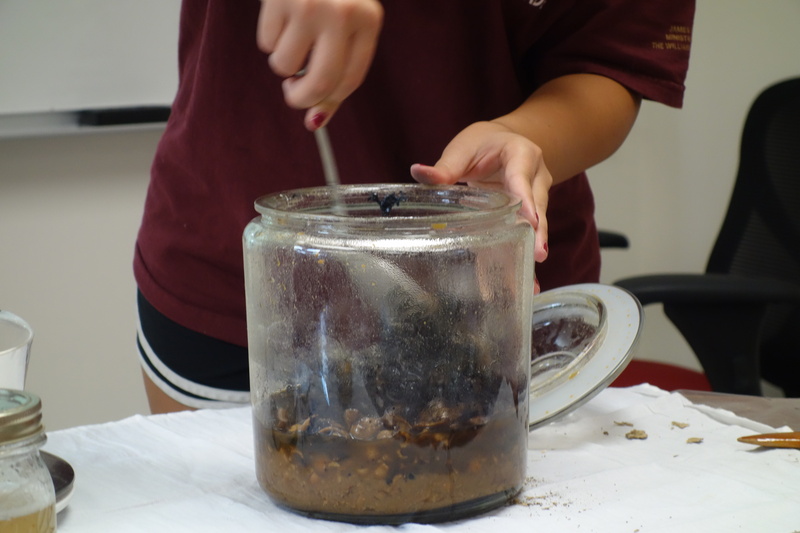 Students really loved the project, especially as they were actively involved, and I am certainly planning to make ink the next time I teach a manuscripts class, though perhaps I will try a different recipe. Amy L. Tigner teaches in the English Department at the University of Texas, Arlington. Legit indeed. 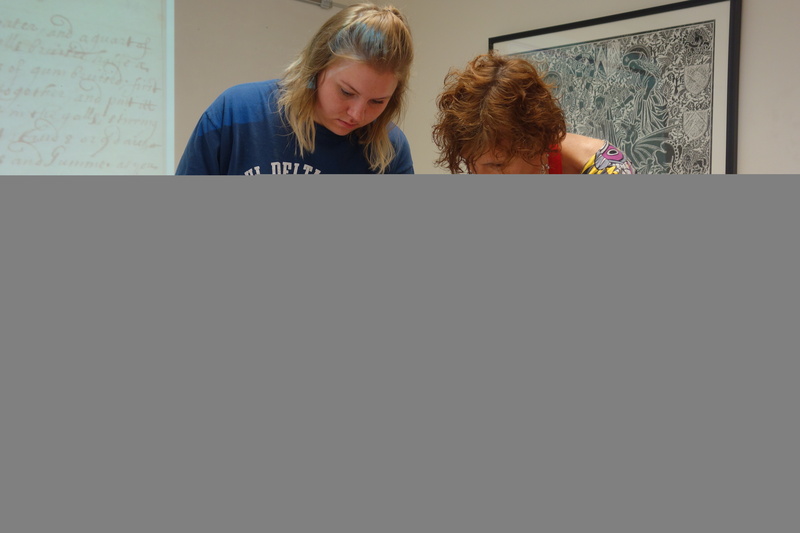 The project enhanced student understanding of the Columbian Exchange as a truly transformative global phenomenon. It also provided them with new—and at times surprising— knowledge about their favorite foods. 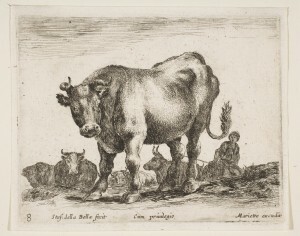 Stefano della Bella, Cow, Diversi animali, plate 7 (Published by Pierre Mariette, ca. 1641), Purchase, Joseph Pulitzer Bequest, 1917 (17.50.17-256), Courtesy of The Metropolitan Museum of Art. Cook ground meat and drain. Add sofrito mixture and packet of sazon con achote. Stir well over low heat to blend flavors and set aside. Peel and boil potatoes until tender. Mash potatoes with salt and cornmeal, mix well. Place potato mixture in refrigerator to cool. 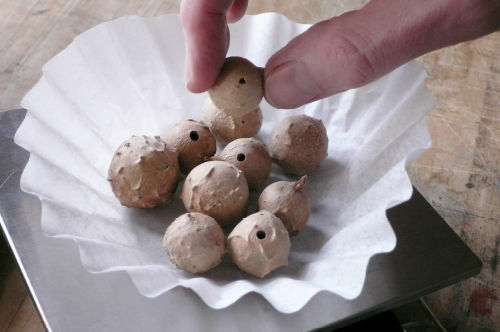 Once cool, scoop into balls, make pocket in middle of ball with your finger to place meat. Carefully press mixture back into a ball, thoroughly covering meat mixture. Dust in cornmeal, fry. Students Jose Hernandez and Madeline Mercado also described their recipes—different variations of rice and beans —as edible reminders of how people retained culinary practices in the face of change. West Africans ate rice and beans, enslaved people of African descent were the laborers who tended rice in places like South Carolina, and West African cultivation practices and knowledge were likely integral to the crop’s success in the Americas. 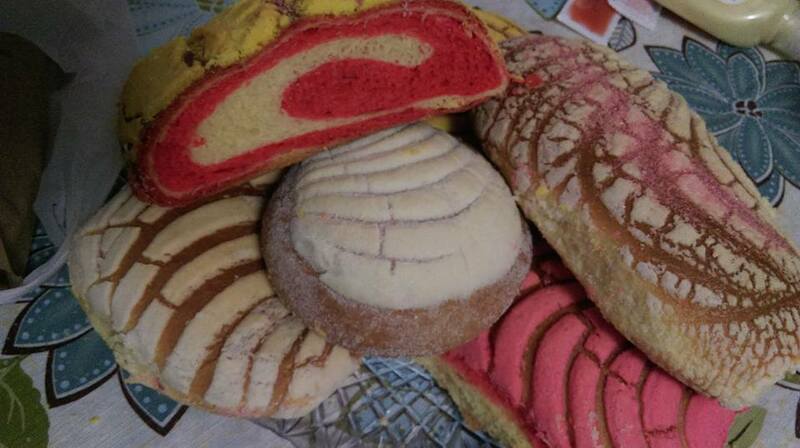 Pan dulce, on display at a Staten Island bakery, Pan con Cafe. Pictured is a type of pan dulce called la concha: “El Borracho,” on the top left and “El Gusano,” top right. Photo by Sonia Martinez, 2015. Other students found that European traditions were behind what they thought were indigenous recipes. Sonia Martinez researched pan dulce or “Mexican sweet bread,” a treat “sold everywhere, from street food stands to elaborate bakeries in the capital.” Pan dulce is an important part of Mexican holidays like the Day of the Dead, when it is eaten in the form of pan de muerto (pan dulce in the shape of crosses, skulls, angels, or tomb effigies). 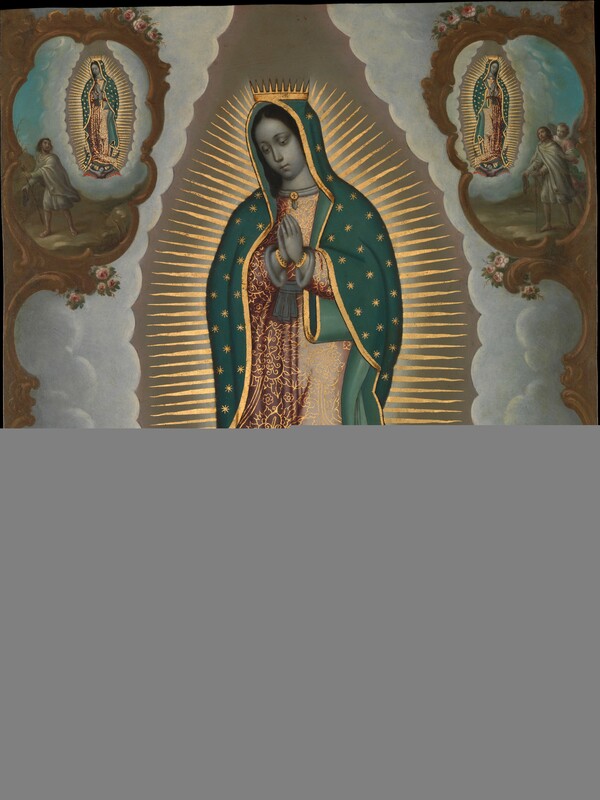 Martinez was surprised to find that pan dulce “wasn’t made from native ingredients passed down from generation to generation.” Instead, it relies on wheat, a plant Spanish missionaries insisted on importing to make communion wafers. Albrecht Dürer (German, Nuremberg 1471–1528 Nuremberg),The Witch, ca. 1500, Engraving, Fletcher Fund (1919, 19.73.75), Courtesy of The Metropolitan Museum of Art, New York. Another group of students focused on recipes that used ingredients that traveled east, from the Americas to Europe and, eventually, India and Asia. Some had legends attached to them. Student Ashley Olivetti delved into her grandmother’s Italian tomato sauce recipe. She found that Europeans at first feared tomatoes in part because they are part of the family Solanaceae, which includes “deadly nightshades” like belladonna, a poisonous plant that, according to Germanic folklore, witches used to summon werewolves. Student Thomas Finn looked at vichyssoise, or French potato and leek soup, and was surprised to find that the ordinary potato has legends attached to it. When Incas from Cuzco fled before Spanish conquistador Francisco Pizarro (ca. 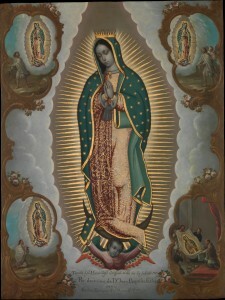 1476-1541), they lightened their load to travel faster under threat of puma attacks, throwing supplies into Lake Pumacocha to prevent the Spanish from using them. Among these supplies was the Incan staple ch’unu, a freeze-dried, dehydrated potato easy to carry over the long distances of the far-flung Incan empire. The Inca were allegedly on their way to the legendary city of Paititi, a never found place rumored to contain hordes of gold and silver. 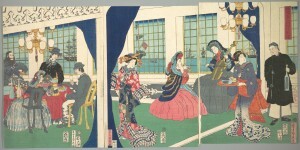 Utagawa (Gountei) Sadahide, Foreigners in the Drawing Room of Foreign Merchant’s House in Yokohama (9th month, 1861), Triptych of polychrome woodblock prints Bequest of William S. Lieberman, 2005 (2007.49.131a–c), Courtesy of The Metropolitan Museum of Art. Other students looked at recipes that arose due to another farflung empire: that of the British. Student Remy Rodney researched his grandmother’s “Jamaican soup,” a dish that reflects the global reach of the British in its chicken, pumpkins, yams, and Korean dumplings. Student Harmon Chan looked at Japanese rice and potato curry. 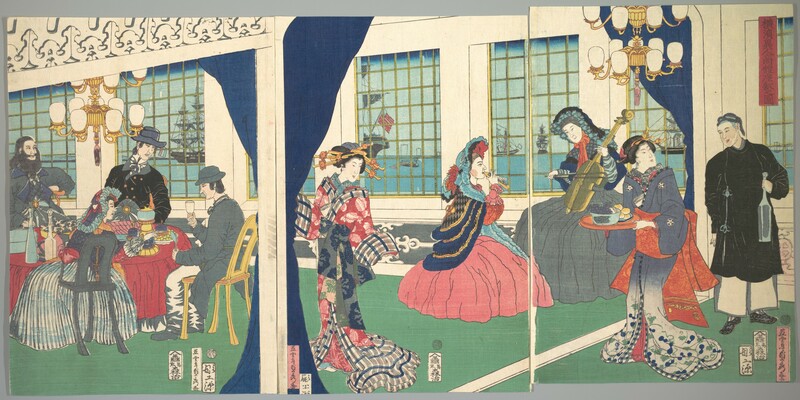 First found in Japanese cookbooks in 1872, this now popular standby in Japan had its beginnings not long before, after American Commodore Matthew Perry’s 1853 visit began a new era of Japanese trade with western nations including Britain. Among the things the British introduced to Japan were curry from India and potatoes from America. As one student put it, “food is one way people define their culture.” As students learned by researching recipes of the Columbian Exchange, food is one way people maintain old cultures and create new ones, too. Harmon Chan is a History major interested in exploring the history of the United States. Thomas Finn is a senior History major who is interested in colonial American history. His family has lived in America a long time, and in the same house on Staten Island since 1820. Jose Hernandez is a senior History major, who is minoring in African American Studies. His interests include the Atlantic World and its importance in world history. Sonia Martinez, born to immigrant parents, is a first generation Mexican American student. She is a senior majoring in English writing and linguistics, and minors in Spanish. Madeline Mercado majors in Social Work and minors in Spanish. Her family background is Puerto Rican, and she is interested in the history of rice in the Atlantic World. Ashley Olivetti is a senior American Studies major. Her family is originally from Italy and now resides in Brooklyn and Staten Island, New York. Her interests include researching and writing about history. Remiah Rodney is a sophomore of Jamaican heritage. Born in London, England, he plays soccer for the College of Staten Island. Cynthia Vera is a Latin American senior, majoring in Latin American Studies and Psychology.